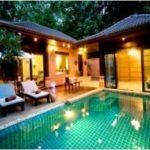 Удобно расположенный в Пхукет, Chalong Chalet Resort & Longstay является прекрасной отправной точкой для изучения этого оживленного города. Отсюда, гости могут всецело ощутить преимущество удачного расположения и близости ко всему, что может предложить оживленный город своим туристам. Красивый окружающий природный ландшафт и удобное расположение в непосредственной близости к таким достопримечательностям, как Большой Будда Пхукета, Пирс Аочалонг, Ват-Чалонг, делают этот отель особенно привлекательным. 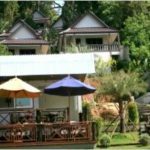 Обслуживание и удобства, предлагаемые в Chalong Chalet Resort & Longstay, обеспечат приятное пребывание для гостей. В распоряжении гостей отеля, такие услуги, как обслуживание, Wi-Fi интернет на территории отеля, сейф, стол информации об экскурсиях, ресторан. Все номера оснащены удобствами для обеспечения максимального комфорта. Отель предлагает прекрасный выбор услуг для отдыха, в том числе массаж, сад, спа, бассейн (в помещении). Получите удовольствие от первоклассного обслуживания и широкого выбора услуг в Chalong Chalet Resort & Longstay. 1. В указанном отеле останавливаемся второй раз. главное его преимущество – разумная цена. Отель представляет собой отдельные виллы состоящие из двух комнат два сан. узла (один на открытом воздухе.). большая гостиная в небольшой кухонькой. Территория отеля большая, неплохой бассейн. расположение недалеко от причала Чалонг (туристические поездки, дайвинг, русские дайв-центры) Желательно наличие автотранспорта, так как до всего центральных мест надо добираться. Малое количество отдыхающих. Недостатки слабые завтраки, сервис средний (но для тройки самый раз). 2. We read some other mixed reviews so it was not without some trepidation that we booked the Chalong Chalet. 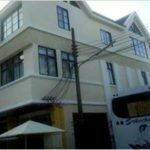 We have stayed in Chalong/Nai Harn and Rawai numerous times and have passed the property many times too so we new it was in a good position. But the reviews were not exactly glowing. But we have to say that this is a real gem. That”s not to say it”s for everyone. 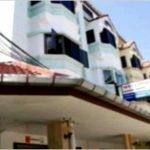 This is not a place to book if this is your first time in Phuket and you want to be among the action, close to a beach and don”t have you own transport. Its true that the staff don”t speak much english and don”t fall over themselves carrying your bags to the room. But if you can get past that they are friendly and will do as much as they can to help. What you get here is a basically a junior suite at about a 4 star hotel level for the price of a standard room. You have a large bedroom with king size bed, adjoining living room with kitchenette and two bathrooms, one outdoor with rain shower, and a patio and sitting area to boot. All this set in not overly densely developed grounds with a great pool (I don”t get anyone saying its too small unless you want to swim Olympic laps). The views from the pool are fantastic. There is only one AC in the bedroom and they probably should have put one in the living room. But there is a strong fan and large windows which open so you should be able to get by. We did not try the restaurant as we did believe the reviews that the food would not be that good. We have never seen anyone use it so the turnover of stock can”t be that good. But we had our own transport and you are never far from great restaurant in Phuket. Even a great breakfast for less that the hotel would charge is only 3 minutes away (past Chalong roundabout near the pier for example). 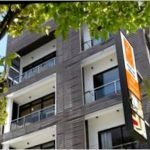 This would be great for business people looking for short stays in the area or independent travelers who are mobile and looking for a bargin or maybe backpackers looking to splurge. 3. 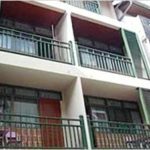 We have stayed in Chalong/Nai Harn and Rawai numerous times and have passed the property many times too so we new it was in a good position. But the reviews elsewhere were not exactly glowing. But we have to say that this is a real gem. That”s not to say it”s for everyone. 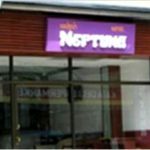 This is not a place to book if this is your first time in Phuket and you want to be among the action, close to a beach and don”t have you own transport. Its true that the staff don”t speak much english and don”t fall over themselves carrying your bags to the room. But if you can get past that they are friendly and will do as much as they can to help. What you get here is a basically a junior suite at about a 4 star hotel level for the price of a standard room. You have a large bedroom with king size bed, adjoining living room with kitchenette and two bathrooms, one outdoor with rain shower, and a patio and sitting area to boot. All this set in not overly densely developed grounds with a great pool (I don”t get anyone saying its too small unless you want to swim Olympic laps). The views from the pool are fantastic. There is only one AC in the bedroom and they probably should have put one in the living room. But there is a strong fan and large windows which open so you should be able to get by. We did not try the restaurant as we did believe the reviews that the food would not be that good. We have never seen anyone use it so the turnover of stock can”t be that good. But we had our own transport and you are never far from great restaurant in Phuket. Even a great breakfast for less that the hotel would charge is only 3 minutes away (past Chalong roundabout near the pier for example). 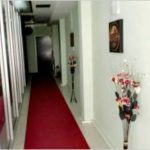 This would be great for business people looking for short stays in the area or independent travelers who are mobile and looking for a bargin or maybe backpackers looking to splurge.